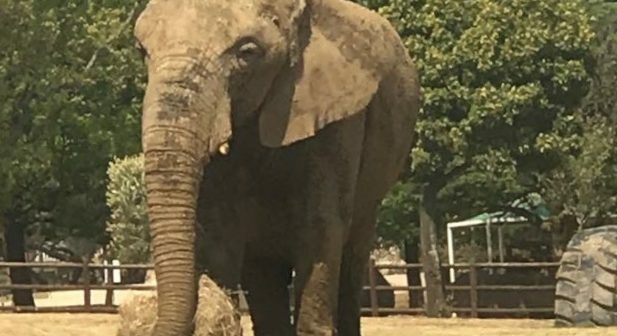 While Lammie the elephant languishes alone since the recent death of her partner, Kinkel, elephant experts are calling for her release from Johannesburg Zoo to a sanctuary, saying the captive elephant’s overall wellbeing is being compromised. The question of Lammie’s future without her companion, who died of unconfirmed causes, has led to a heated debate between zookeepers and elephant welfare experts. This is not the first tragedy that captive-born Lammie has endured in her 39 years at Jo’burg Zoo. Both her parents, Jumbo and Dolly, who were taken from the wild in the seventies, died at the zoo within a year of each other and her brother, also born at the zoo, died shortly after being sold to a French zoo. Johannesburg Zoo has confirmed that they plan to acquire another cow to keep Lammie company, but animal welfare and elephant experts have objected, saying that the lone elephant should be released into a wild reserve where she can roam free and bond with a herd. The EMS Foundation has offered to find a suitable sanctuary or reserve for Lammie and to cover all the costs of her relocation. The National Council of Societies for the Prevention of Cruelty to Animals (NSPCA) says it is opposed to keeping elephants in captivity citing their 2015 report which highlighted the welfare status of elephants in captivity. This scientific report revealed that nearly all captive elephants suffer welfare deficiencies. “The NSPCA strongly discourage bringing another elephant into captivity. Most captive elephants that have been in unnatural circumstances behave unpredictably and do not necessarily behave like a wild elephant would,” says Manager of NSPCA’s Wildlife Protection Unit, Martie Rossouw. As sentient animals reliant on family bonds, elephants in captivity often display behavioural abnormalities, suffer from disease or disability and have notably shorter life spans. And, due to high infant mortality rates, no conservation value has been ascribed to captive elephant breeding programmes. 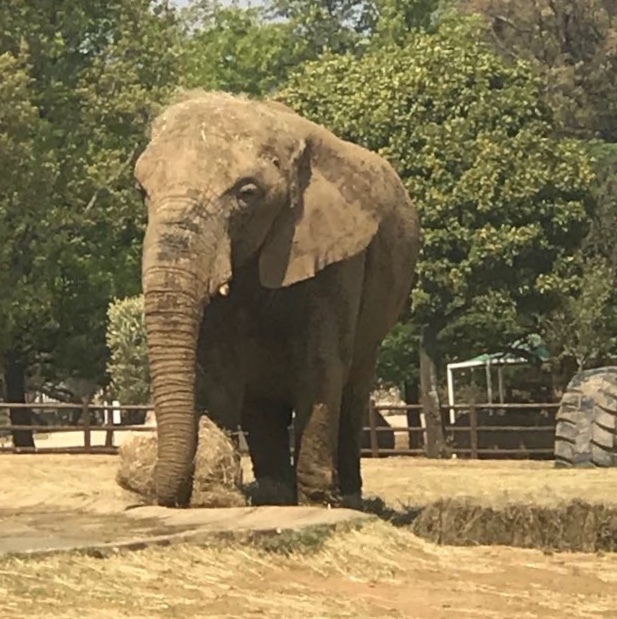 “The (zoo’s) current plans include monitoring her (Lammie’s) behaviour, providing enrichment items for her (and) if she is coping with the situation after our interventions, another cow will be introduced,” says Mr Piet Malepa of Johannesburg City Parks and Zoo Animal Welfare and Management. However, visitors to the Zoo report that no additional enrichment items have yet been provided two weeks after Kinkel’s death. The only enrichment items evident are a very large tyre as well as a few smaller tyres suspended from a pole. This plan would go against the growing international move away from keeping elephants in captivity which has led to many major zoos worldwide to shut down their elephant displays. In addition, South Africa’s Elephant Norms and Standards prohibit the capture of elephants in the wild for permanent captivity. According to Dr Gay Bradshaw, a trans-species psychologist who researches the effects of violence on elephants and other animals, the death of an individual has a large impact on the family and within the community. Furthermore, repeated losses in the absence of the traditional healing structures of the elephant family and culture cause sustained psychological trauma. “It is not unreasonable to state that Lammie is likely suffering significant grief and is traumatised given her history and the loss of her partner,” says elephant expert, Audrey Delsink, executive director of Africa’s Humane Society International. “In order for Lammie to thrive emotionally and physically, she needs to be placed in a semi-wild facility that does not support human-elephant interactions and where she can express natural behaviours. 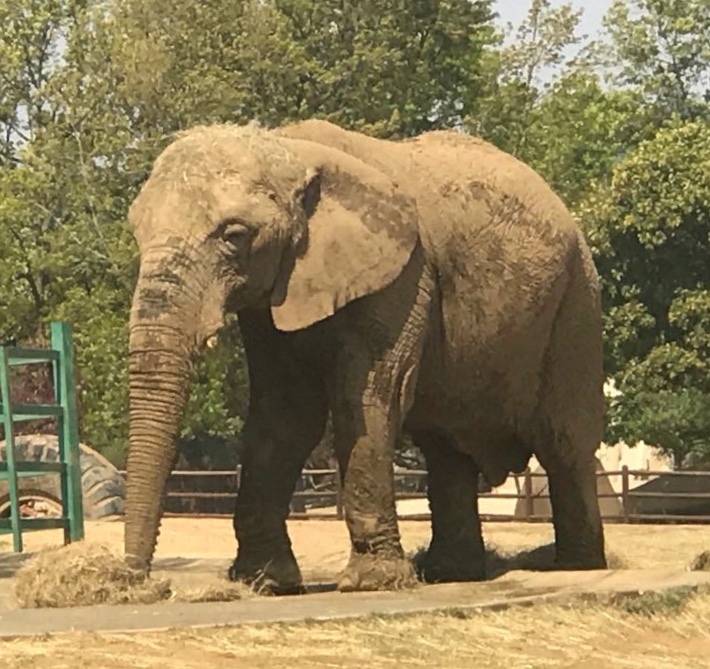 The zoo should be making immediate plans to unite Lammie with other female elephants of differing ages to mimic a herd and the critical “family” structure that is essential to an elephant’s social well-being and learning experience,” says Delsink. Chairman of the Elephant Reintegration Trust, which aids the relocation of elephants from captivity to the wild, Brett Mitchell, says that reintegration of elephants into the wild can be very successful. “Although each herd/group of elephants or an individual elephant requires an assessment prior to embarking on a reintegration program to ensure the correct processes are achieved, reintegrating elephants from captivity to a wild situation is successful if the various stages of reintegration are followed correctly,” says Mitchell. City Parks managing director, Bryne Maduka, stated that the final decision on Lammie’s future will be taken by the Johannesburg City Council after reviewing recommendations from the welfare organisations as well as the zoo.